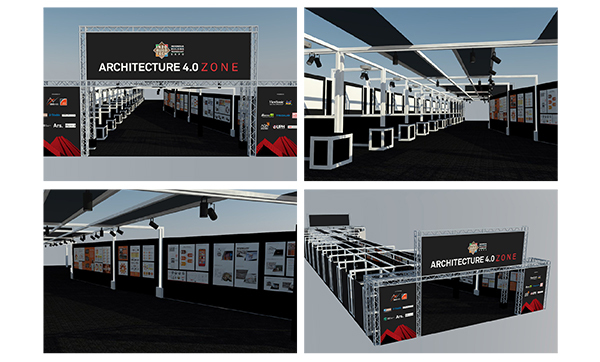 The implementation of this year’s new theme, "Establishing Architecture 4.0", is firstly done through IndoBuildTech Architecture 4.0 Zone located in Hall 5-6 Pre-Function Area. In this zone, there are 12 exhibitors whose lines of business are aligned with the advancement in architecture, interior and building industries. Visitors can have access to experience the technologies and see real projects done by implementing aspects in Architecture 4.0. Throughout the 5-day exhibition, visitors are welcome to benefit from complimentary facilities in support of successful visit to IndoBuildTech Expo 2019. GET YOUR e-BADGE NOW !! DKI Jakarta Province saves US$ 68m in energy expenses. 1st Phase of IndoBuildTech Expo 2019 has done! 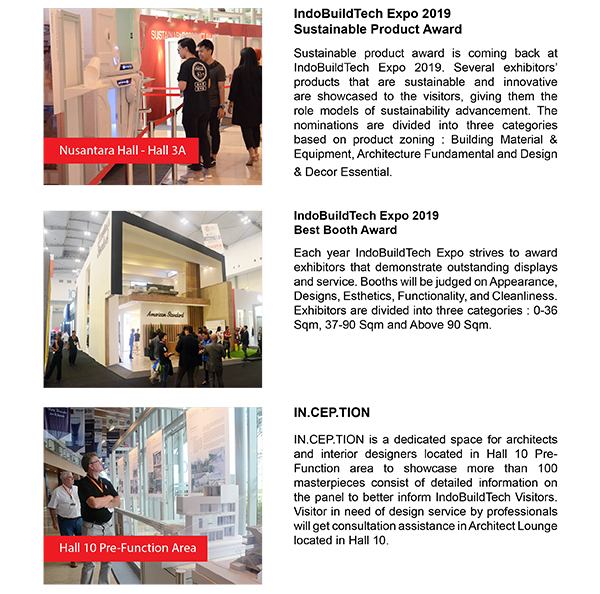 Get Ready for IndoBuildTech Expo 2019 2nd Phase!